The Sofia Sinfonietta | ОКИ "Надежда"
The Sofia Sinfonietta has shown a remarkable potential for presenting classical as well as mixed genres. 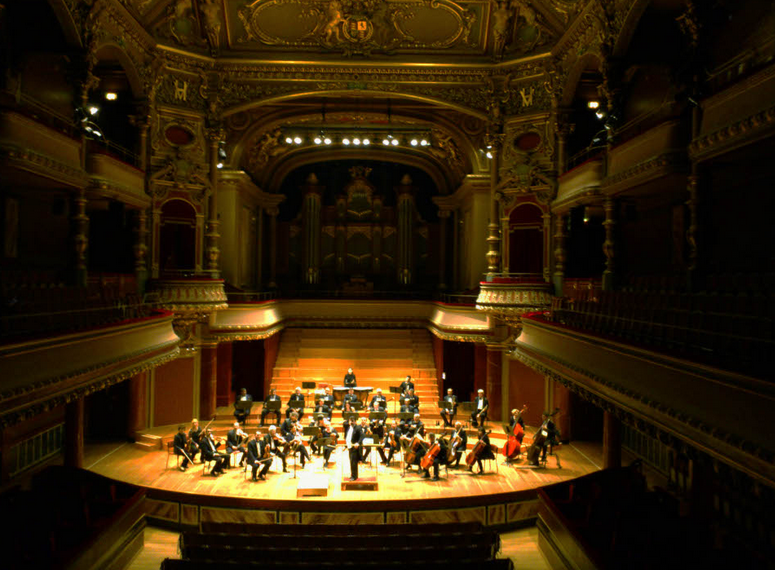 A romantic type of a symphony orchestra it plays Baroque, classical and contemporary music. 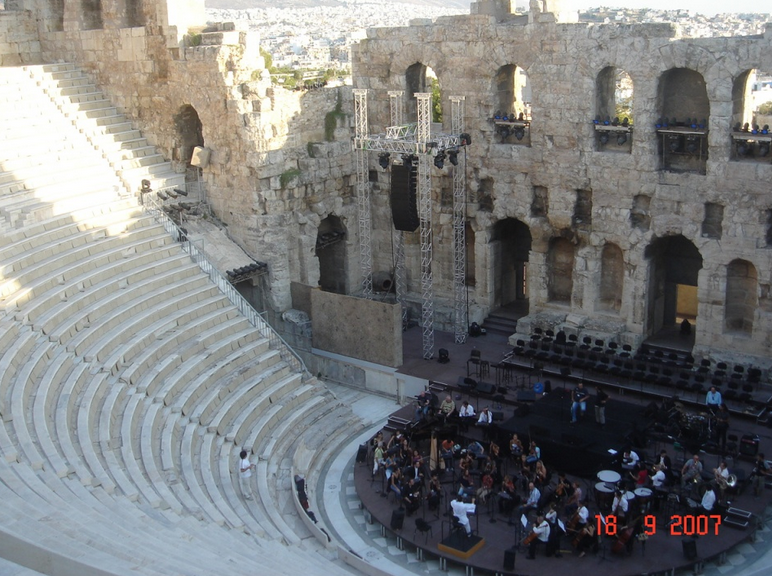 The orchestra creates varied and bold projects, and through international partnerships engages in a wide range of musical events such as popular concert cycles for the youth, attractive shows, entertainment programmes and performances, operas, operettas and musicals taking place in concert halls, theatres or on open-air stages. 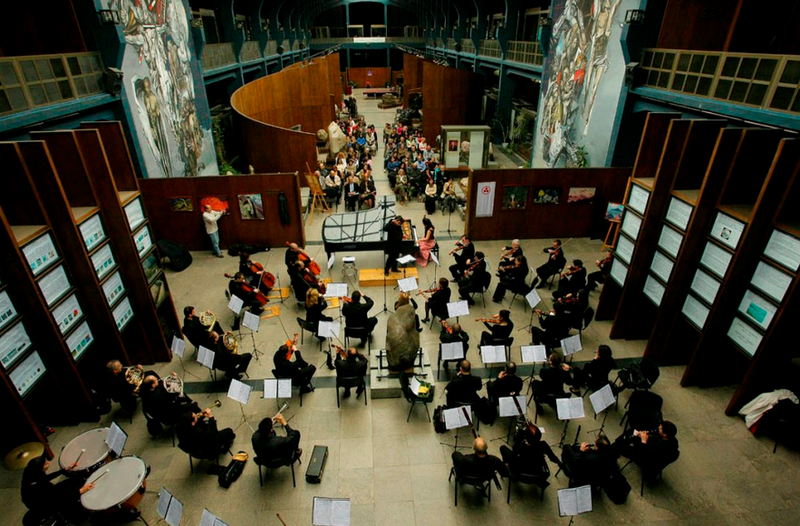 The Sofia Sinfonietta also takes the role of an academic orchestra. It is often invited to participate in different kinds of concerts, TV performances and radio broadcasts. 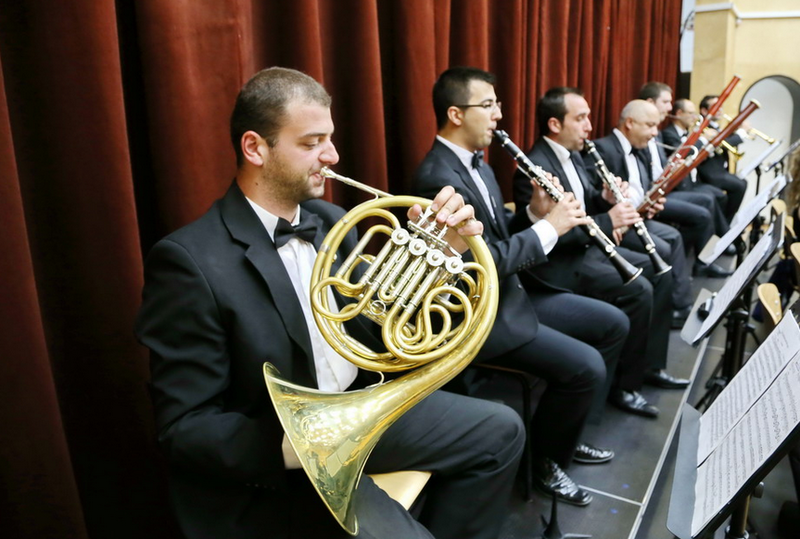 For certain events the Sofia Sinfonietta appears in chamber groups as quartets, quintets, octets or others. 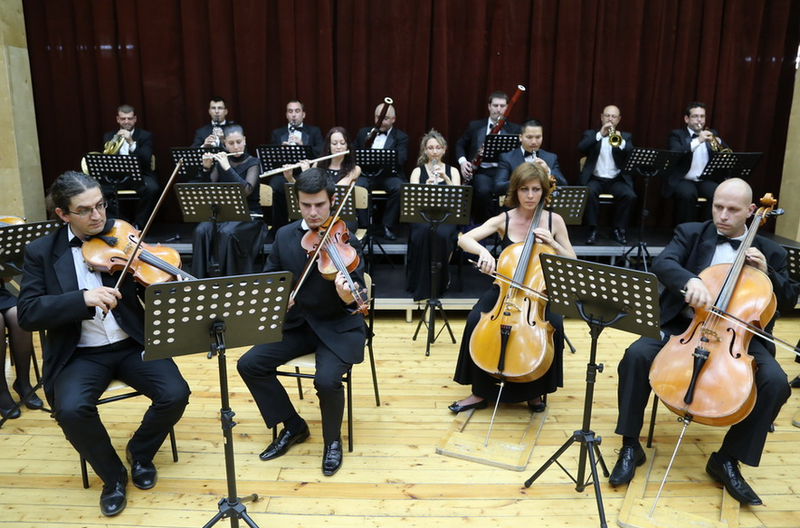 The Sofia Sinfonietta plays at staged or concert performances of operettas and musicals, presentations of film and theatrical music and premieres of new Bulgarian and foreign compositions. It carries out interactive projects and generates improvisational ideas of including electronics, jazz and folk musicians and dancers. 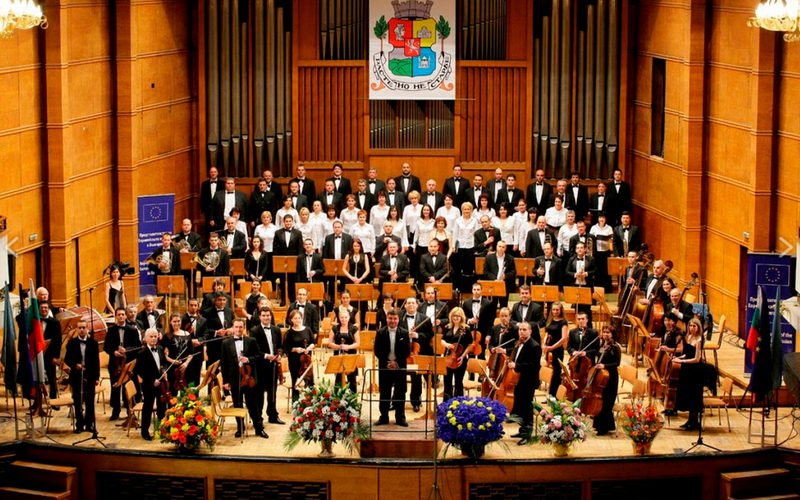 The Sofia Sinfonietta is the successor to the Bulgarian chamber orchestra founded in 1972 by the eminent Bulgarian violinists Dina Schneidermann and Emil Kamilarov. 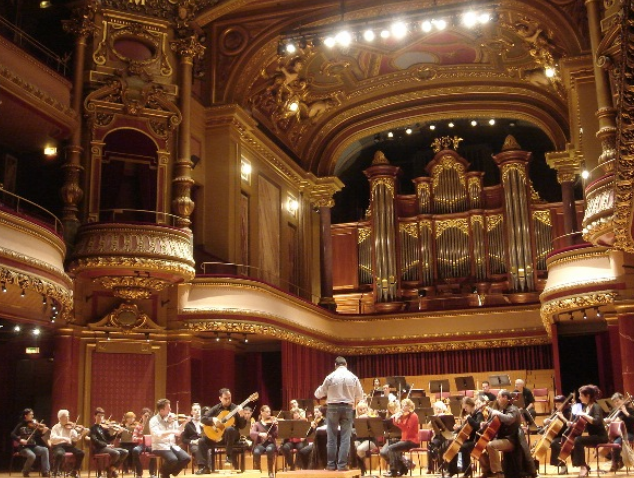 In 1987 that chamber orchestra became the Bankya Collegium Musicum. 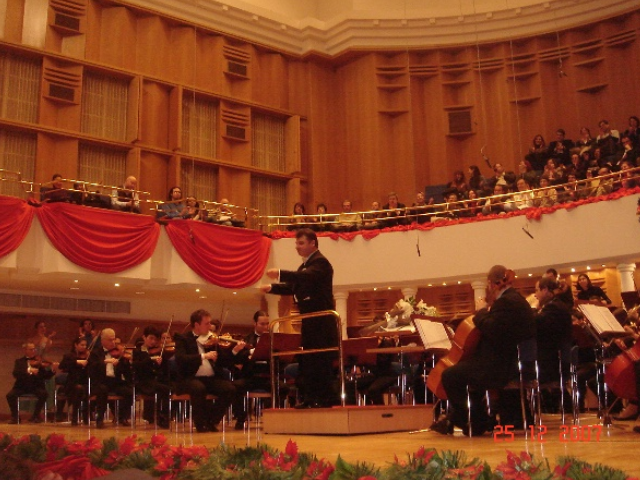 In 2003, due to administrative changes and territorial issues, the latter was enlarged and transformed into the Sofia Sinfonietta. The principal conductors of those orchestras were Dina Schneidermann, Nikola Vurbanov, Lyudmil Deshev and Emil Yanev (chief conductor of the Bankya Collegium Musicum from 1987 to 2002). 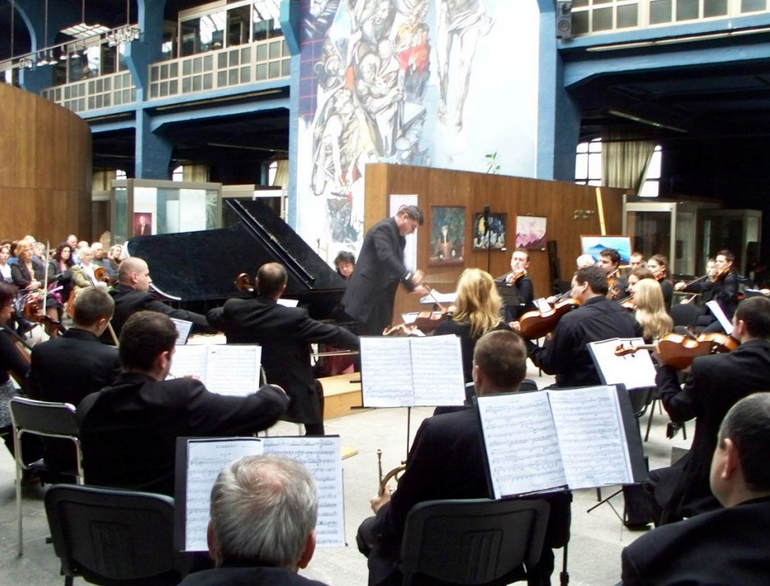 The Sofia Sinfonietta has been conducted by Svilen Simeonov since its foundation in 2003. 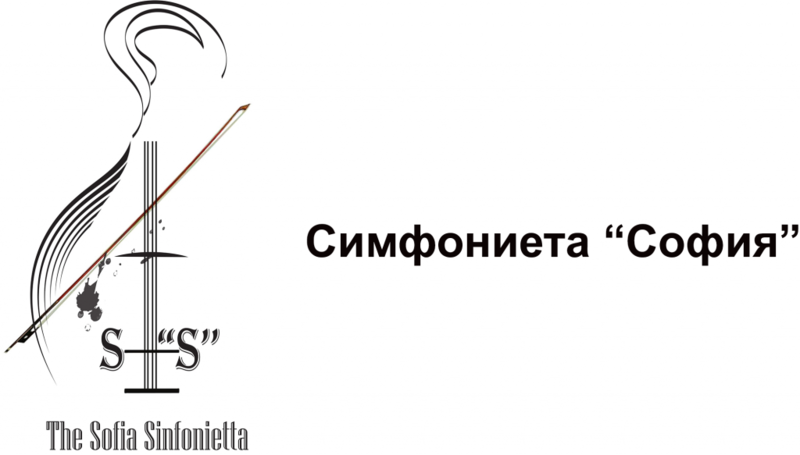 Sofia Music Weeks International Festival, Salon of Arts,G ifted Young Musicians International Festival, Ohrid Summer Festival, Athens International Festival, Prespa Musical Festival, Bitola Bitfest, Prof. Emil Kamilarov International Musical Festival and Athens Music Festival. Germany, the Netherlands, Switzerland, Denmark, Austria, Greece, Japan, Italy, Spain, Belgium, Turkey, Serbia, Macedonia, Portugal, the island of Martinique, the Canaries, etc. 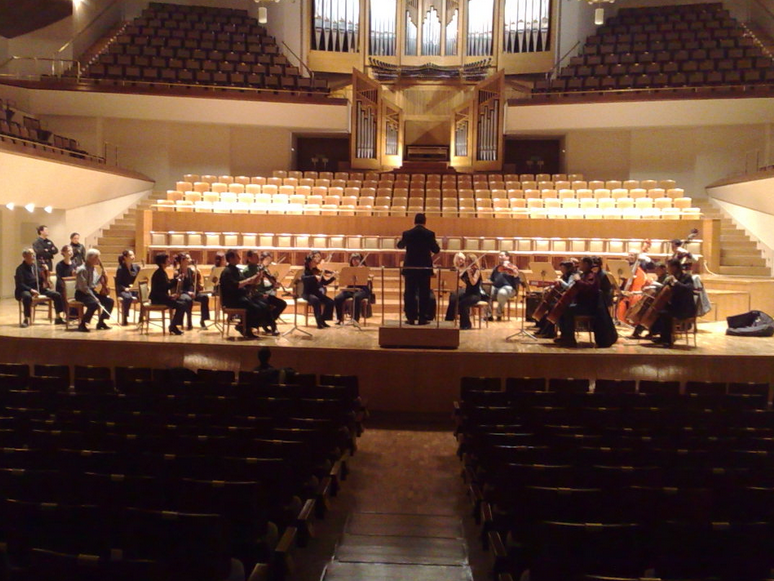 Bulgaria Concert Hall, Sofia; Berliner Philharmonie; Musikverein Golden Hall, Vienna; Het Concertgebouw, Amsterdam; Sava Centre, Belgrade; Victoria Hall, Geneva; Palau de la Musica Catalana, Barcelona; Auditorio Nacional de Musica and Teatro Monumental, Madrid; Teatro Auditorio, Cuenca; Auditori de Girona, Concertgebouw, Brugge; Teatro Sociale di Mantova; Concert House, Seres; Teatro Tivoli and Coliseu dos Recreios Lisbon; Concert House, Kavala; Tonhalle Zurich; Auditorium RAI “Arturo Toscanini”, Torino; Teatro Olimpia, Hueska; Casa da Musica, Porto; Teatro Colon, La Corunya; Teatro Manuel de Falla, Cadiz; Teatro El Greco, Sicilly; L’Auditorio and Grand Teatre del Liceu, Barcelona; Teatro Principal, Zamora; Teatro Municipal, Las Palmas – Gran Canaria; Irodio, Athens; Bilkent Hall, Аnkara, etc. 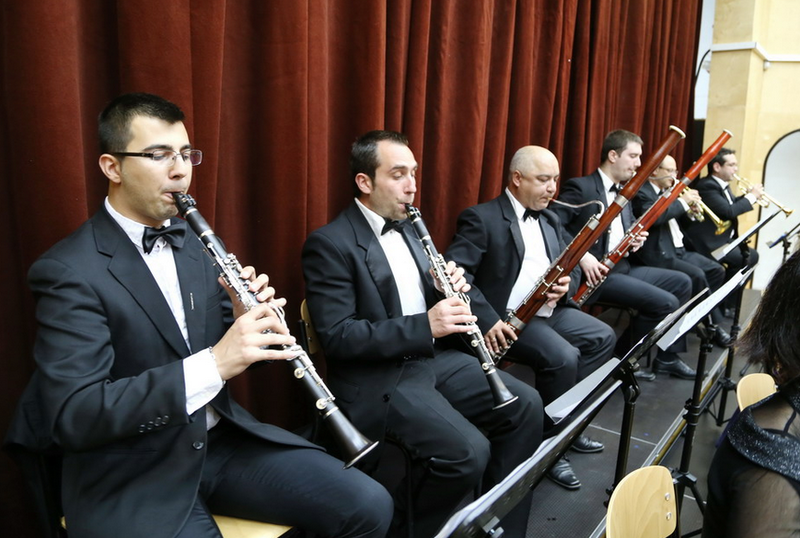 The orchestra has played under the baton of Vassil Kazandjiev, Dina Schneidermann, Naiden Todorov, Valeri Vachev, Angel Filipov, Deyan Pavlov, Pavel Zlatarev, Konstantin Ilievski, Hristo Pavlov, Nikola Petrov and Angel Stankov; Emir Nuhanovich (Bosnia and Herzegovina); Ulrich Kern (Germany); Kampanis Samaras, Nicos Tsuclos, Viron Fidetis, Alexander Mirat, Mikis Michaelidis, Anastasios Ikonomopoulous and Vasiliki Patrona (Greece); Robert Canetti (Israel); Fulvio Turissini and Alberto Veronesi (Italy); Kristina Penkovska and Boryan Tsanev (Macedonia); Fuat Mansourov and Maxim Emelyanychev (Russia); Antonio Kuenzel (Spain); Christofer Lee, Marlon Daniel, Michael Gelfand and Karen Nixon (USA). 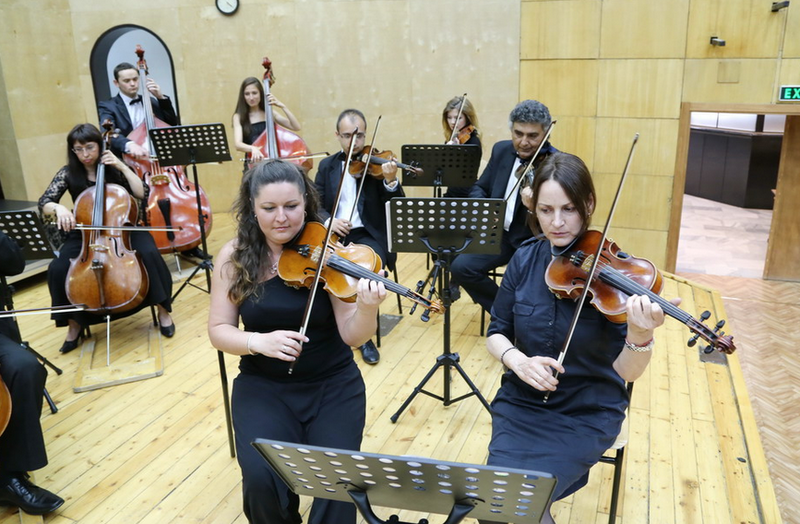 Dina Schneidermann – violin, Emil Kamilarov – violin, Angel Stankov – violin,Yossif Radionov – violin, Antoaneta Emanouilova – violoncello, Alexandrina Milcheva – mezzo-soprano, Tsvetelina Maldjanska – soprano, Kamen Chanev – tenor, Dimiter Stanchev – bass, Orlin Goranov – tenor, Yuko Yamaoka (Japan) – piano, Yassen Enchev – oboe, Milena Mollova – piano, Victor Chuchkov – piano, Anastassia Hitruk (USA) – violin, Emilia Baranovska – violoncello, Todor Petrov – piano, Albena Kehlibareva – mezzo-soprano, Ralitsa Petkova – violin, Antonia Radneva – soprano, Svetla Slavcheva – piano, Iliana Selimska – soprano, Iva Lyubomirova – flute, Nikolai Groudanski – trumpet, Zornitsa Damyanova – soprano, Nikolai Motsov – tenor, Alexei Ivanov – bass, Jujana Pongraz (Hungary) – violin, Vesselina Chakurova – piano, Ivaila Ivanova – piano, Simoss Papanass (Greece) – violin, Dimitriss Koukoss (Greece) – piano, Sebastian Surrelle (France) – violin, Antonia Lambova – piano, Denitsa Lafchieva – clarinet, Nikola Voutov – flute, Vulchan Vulchanov – oboe, Hristo Tsachev – horn, Ilia Chernaev – piano, Stefka Mineva – mezzo-soprano, Kyoko Sakai (Japan) – piano, Nina Maleeva – harp, Angelina Abadjieva – violin, Ivan Karadjov – violin, Nikolai Temniskov – tuba, Iskra Gramatikova – percussion, Rada Nosikova soprano, Nikolai Pavlov – tenor, Boiko Tsvetanov – tenor, Maria Prinz (Austria) – piano, Christos Grimbas (Greece) – violoncello, Rolando Saad (Argentina) – guitar, Mario Hossen – violin, Siungiun Kim (USA) – piano, Milena Georgieva – soprano, Mark Fowler (Australia) – tenor, Michail Pouliev – baritone, Ema Alexeeva – violin, Lyudmila Lazartchuk (Belarus) – soprano, Hideko Kobayashi (Japan) – piano, Elena Marinova – mezzo-soprano, Georgios Filadelfevs (Greece) – tenor, Vesselin Stoikov – bass, Yanis Kourbetis (Greece) – violin, Vlatko Stefanovski (Macedonia) – guitar, Strasho Temkov (Macedonia) – flute, Theodosii Spassov – kaval, Anton Moiseenko (Belarus) – clarinet, Corina Vougiouka (Greece) – quitar, Borisslava Taneva – piano, Zheni Zaharieva – piano, Kalin Ivanov – violoncello, Hristo Popov – violin, Kiril Vesselinov – tenor, Robert Canetti (Israel) – violin, Yoanna Tzechak ( Belgium) – piano, Stella Kukos (Greece) – piano, Victoria Nosovskaya ( Russia) – soprano, Nikolai Peev – classical guitar, Etsuko Okazaki (Japan) – piano, Matei Kozub (Slovakia) – clarinet, Antonina Boneva – piano, Fumie Fukui (Japan) – piano, Maria Zaiferiadou-Zinoviya (Greece) – soprano, Snezhana Dramcheva – soprano, Melvin Brown (USA) – piano, Kaliya Kalchava – piano, Tatyana Laik (Belarus) – piano, Pavel Zlatarev – violin, Hristo Pavlov – flute, Elena Shvedova (Belarus) – soprano, Darina Maleeva – violin, Stoyan Daskalov – tenor, Dancho Radevski – clarinet, Galina Koicheva – violin, Nadezhda Tsanova – piano, Dima Tkachenko (Ukraine) – violin, Bozhidar Noev – piano, Dimana Demireva – flute, Per Enflo and Amy Gustavson (USA) – piano, Eric Peterson (Sweden) – violin, Gerard Poulet (France) – violin, Concha Buika (Spain) – singer, Tatyana Tretyak (Belarus) – soprano, Emilia Kircheva – soprano, Mihail Mihaylov – tenor, Stoyan Bonchev – bass, Kiril Pavlov – percussion, Mario Nikolov – tenor, Valentina Korchakova – sopran, Angel Nikolov – piano, Alex Zografov – piano, Anjela Bratich (Serbia) – flute. 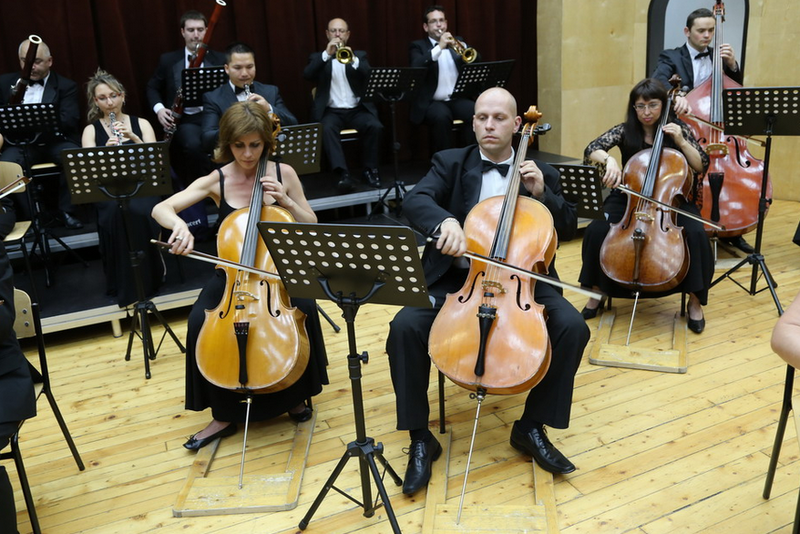 The Sofia Sinfonietta is proud of being recognized as a truly national orchestra which has made a name for itself and strengthened its position throughout this country, due to its exceptional quality of performance and innovative practices. 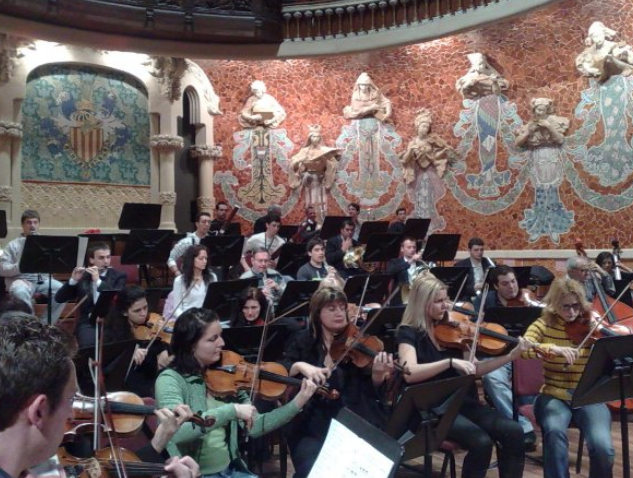 The orchestra numbers 38 musicians, and is notable for its versatile and ambitious concert programmes. 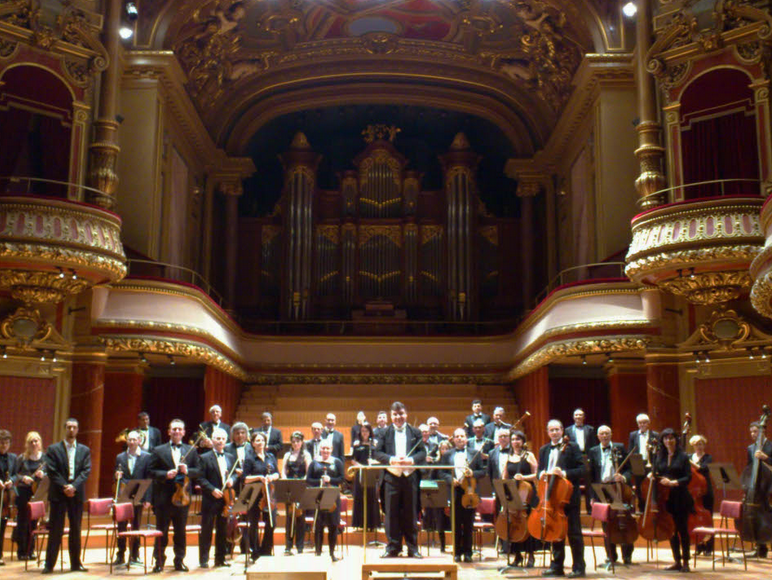 Its statute of an orchestra which, on a national scale, fulfils the tasks of the sinfonietta format, corresponds to the criteria applied to such orchestras worldwide. 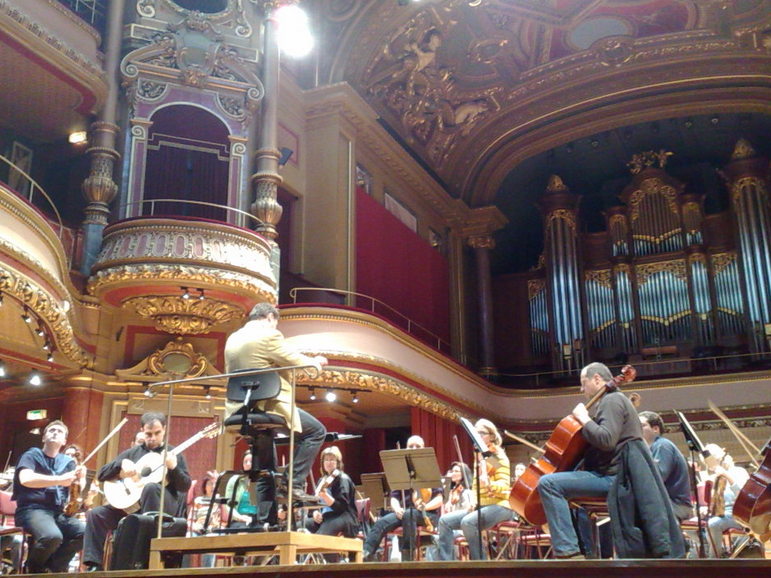 The Sofia Sinfonietta enjoys international prestige and growing professional reputation on a number of stages abroad. It takes part in national and overseas festivals, festive occasions, jubilee concerts and charity initiatives. 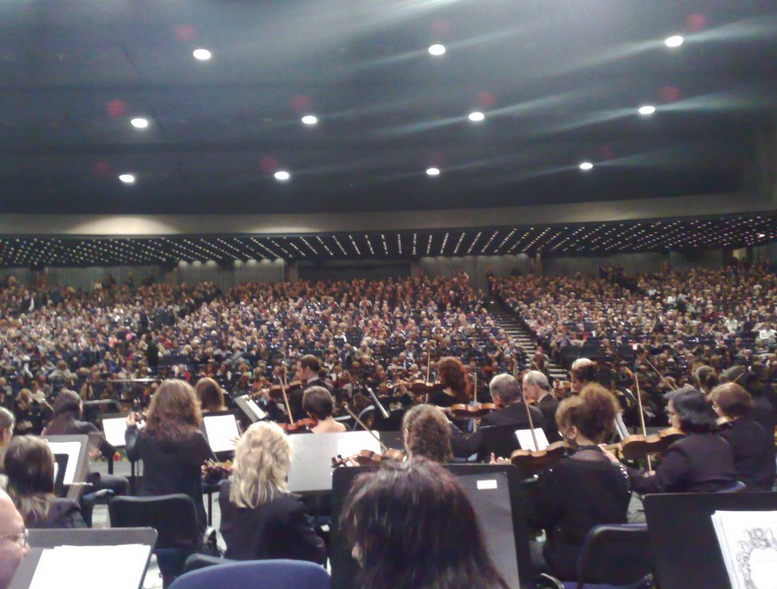 The Sofia Sinfonietta successfully cooperates with other orchestras, soloists, conductors and educational institutions. 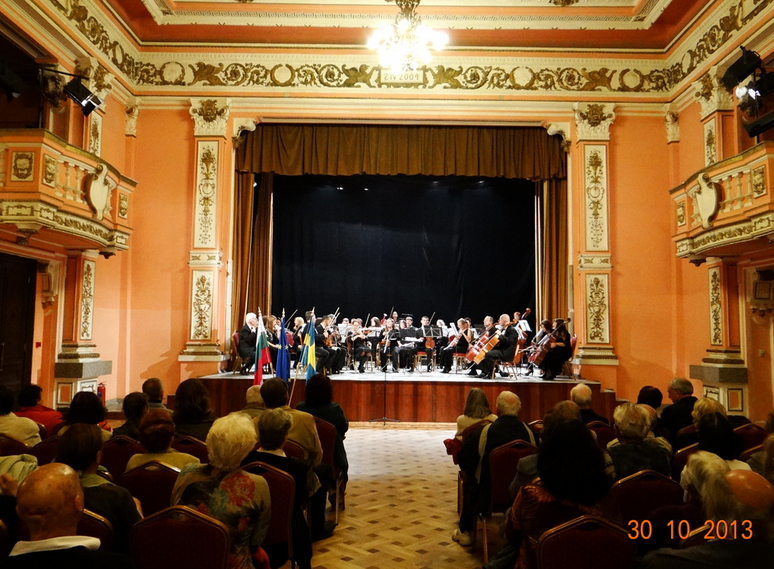 By giving a series of educational concerts, it carries out projects to cultivate a taste to classical music among young people. 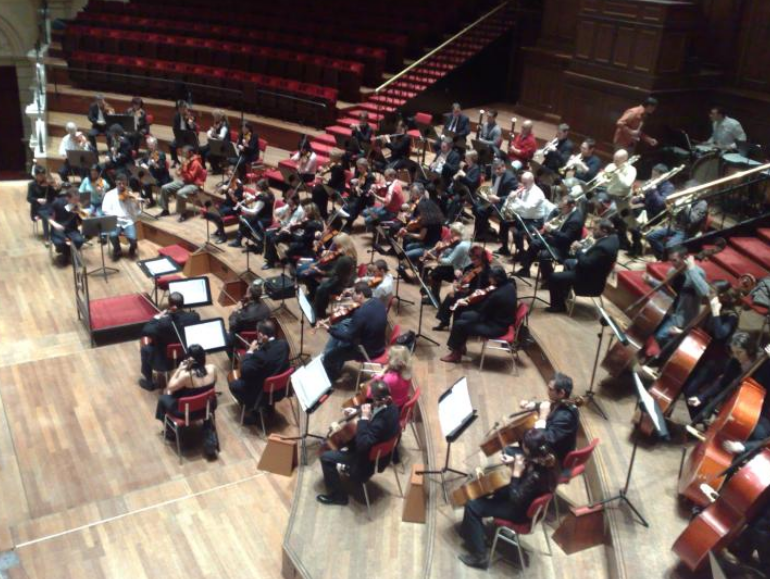 The orchestra is also the organizer of the Young Conductors, Soloists and Composers Concert Cycle. 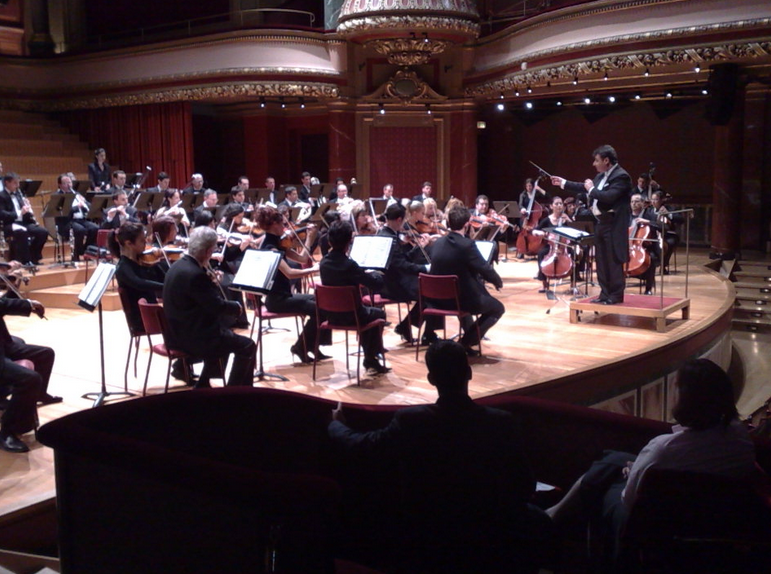 The Sofia Sinfonietta has performed in a large number of concerts in Europe, Asia and America. 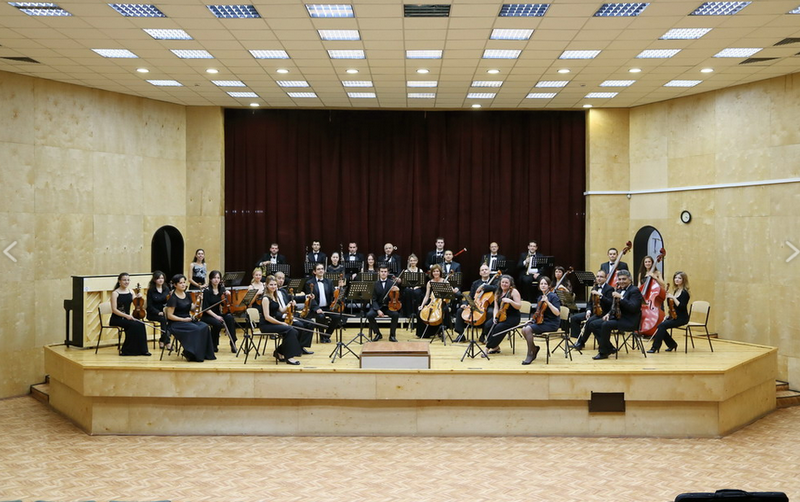 „All of us were really happy to enjoy the high level of performance demonstrated by the Sofia Sinfonietta, and I took sheer delight in listening to their concerts in Japan“. 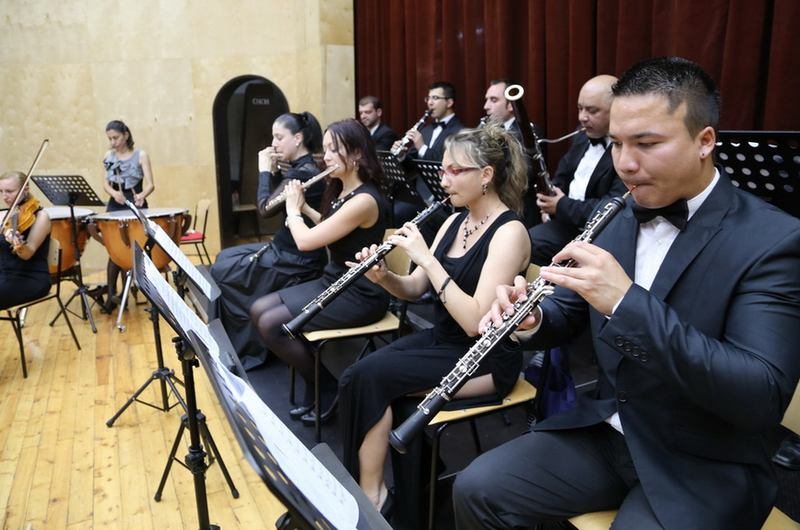 „The Sofia Sinfonietta sounding was clear and soft throughout the performance – from the overture to the end. The wind instruments did not dominate and Zeler’s score, meant for chamber orchestra, was played with absolute mastery. The final applause was a fair evaluation of all that“. 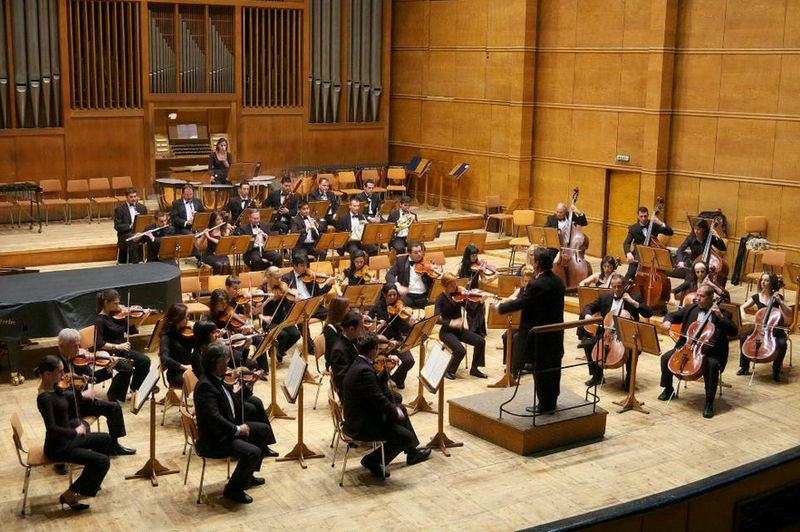 „During the Sofia Mozart Evening in Bulgaria Hall on December 5th the audience was fascinated by the very first chords of the Masonic mournful music as the wind group of the Sofia Sinfonietta produced a remarkably homogeneous sound“. 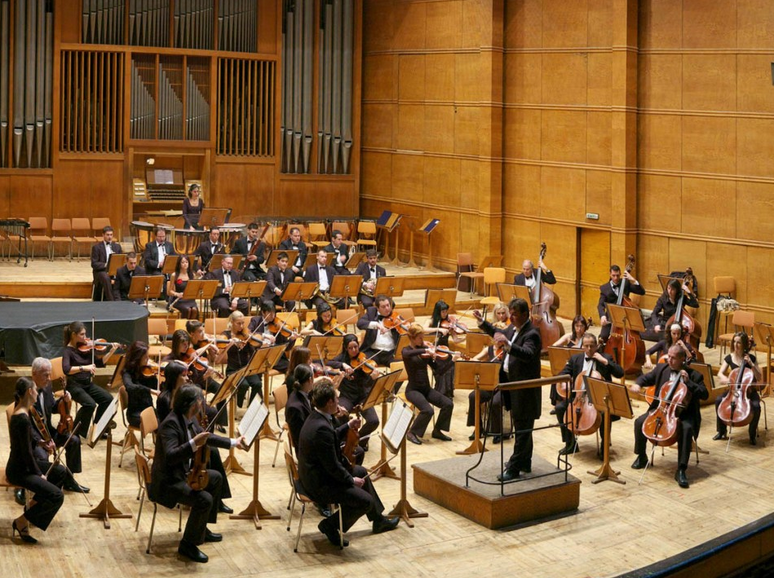 „At its concert in Bulgaria Hall on March 4th the Sofia Sinfonietta presented works by Mozart and Tchaikovski to the fans of music. The blending of the soloist Sebastien Surelle, a young violin virtuoso and concert master of Radio France Philharmonic Orchestra, with the Sinfonietta was magnificent while Svilen Simeonov was conducting the orchestra with reverence and passionate devotion to Mazart’s music“. 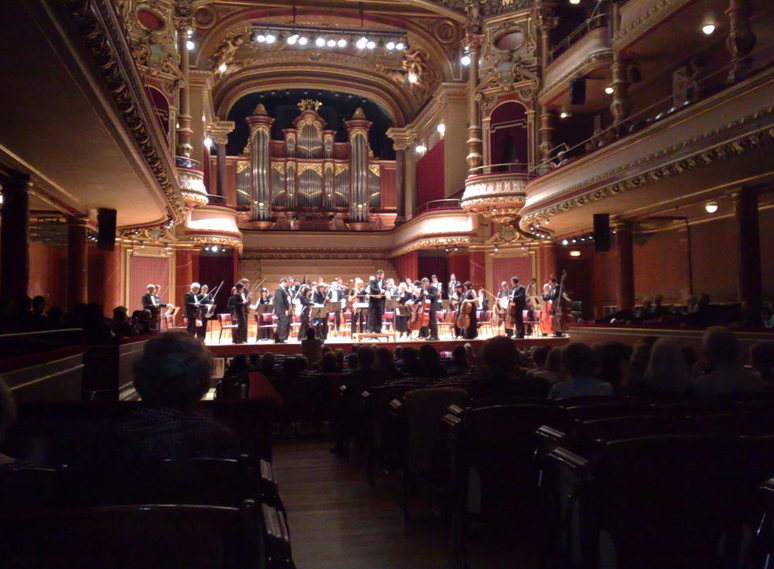 „The Sinfonietta musicians and conductor Svilen Simeonov played with dedication and high professionalism which won them the prolonged applause of the audience at Port de France, the island of Martinique on April 7,8, and 9, 2005“. 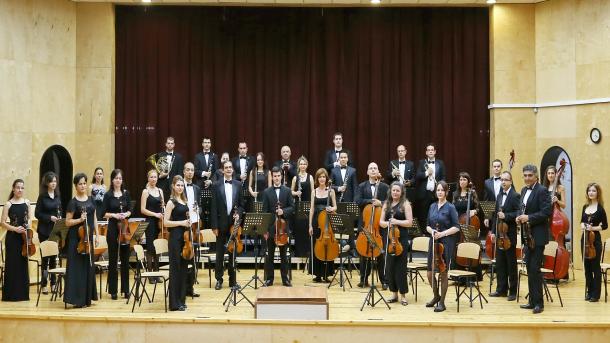 „The Sofia Sinfonietta enjoyed the privilege of giving the main concert of the week under Emir Nuhanovich, a guest conductor from Bosnia and Herzegovina. Beethoven’s Symphony No 9 was an impressive interpretational prelude to the festive atmosphere which reigned the packed hall. 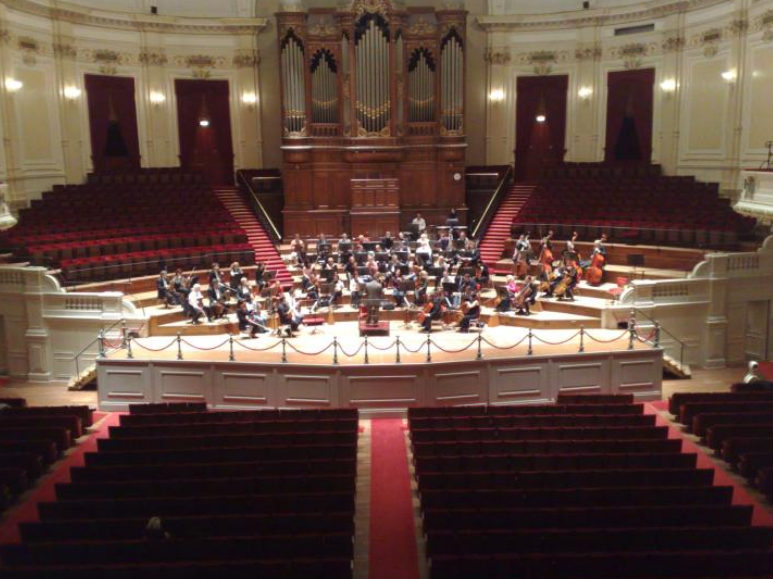 The dialogues with the orchestra were calm and controlled, especially due to the conductor’s excellence who directed the orchestra with a clear gesture, elegance and interpretational precision of Beethoven’s style“. 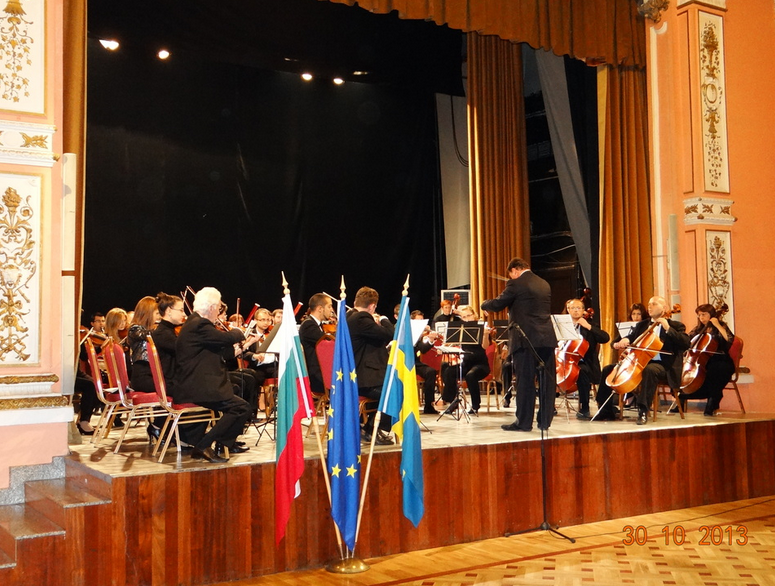 „At the opening of the competition the Sofia Sinfonietta,conducted by Svilen Simeonov, played with incredible finesse, masterly producing magical sounds“. 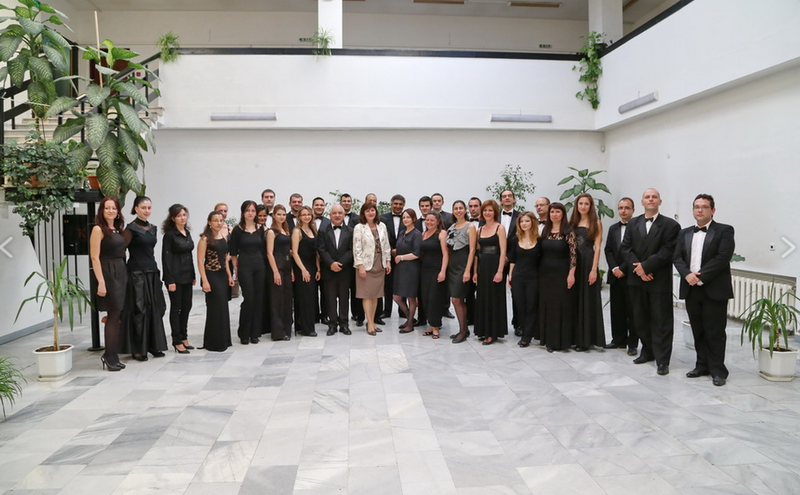 „I would like to extend my congratulations to the Sofia Sinfonietta on the highly successful series of concerts given at the Nafplion Festival, Greece on June 30th , 2005 and duing their recent tour to Corinth, Argos and Nafplion over the period September 1st – 3rd the same year“. 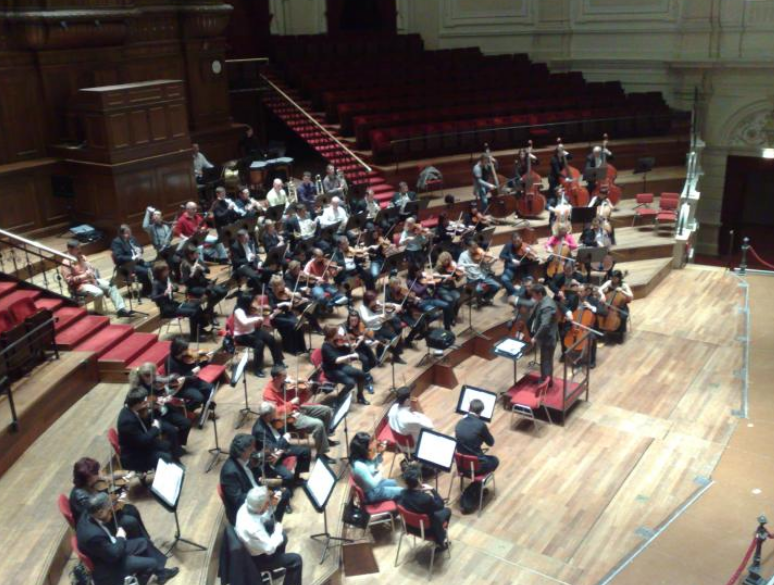 „The brilliant performance of Prokofiev’s Symphony No 1 Classical will leave the most lasting impression of this concert. 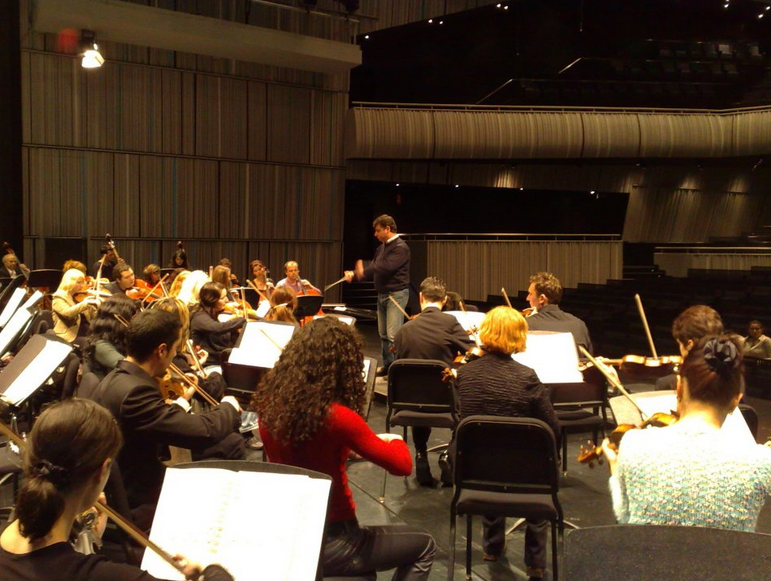 It is here that the newly formed orchestra members’ professionalism was seen as this work is a real challenge to every conductor and orchestra. The elegant and beautiful tunes of the composition were played in a gentle and brilliant manner. 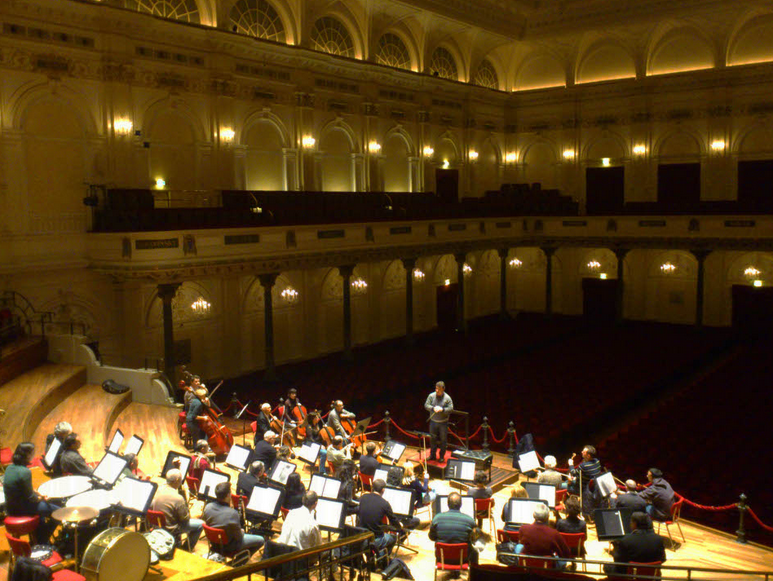 The bravura passages in the symphony were finely performed within a large dynamic range. Congratulations to the string section and ”bravo!” to all wind players. It’s a long time since I haven’t listened to this symphony with such a pleasure“. 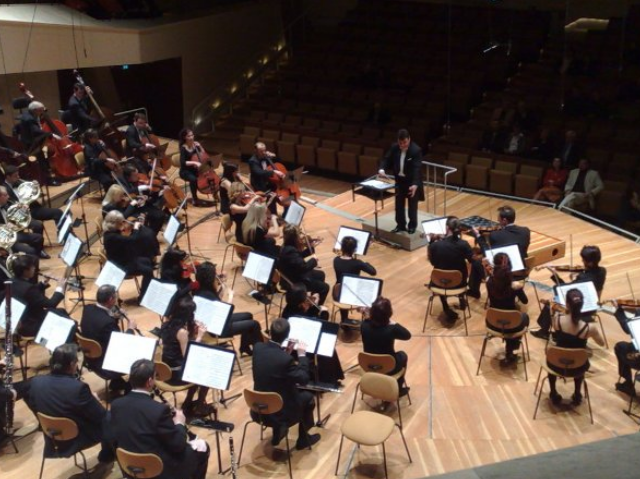 „Josef Haydn is probably one of the most difficult composers to perform. 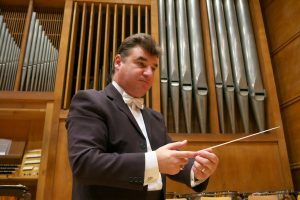 His music requires great instrumental skills, precision in sound producing, a wide range of dynamics, and more specifically the ability to play pianos, which turns out to be a significant problem for many Bulgarian orchestras. 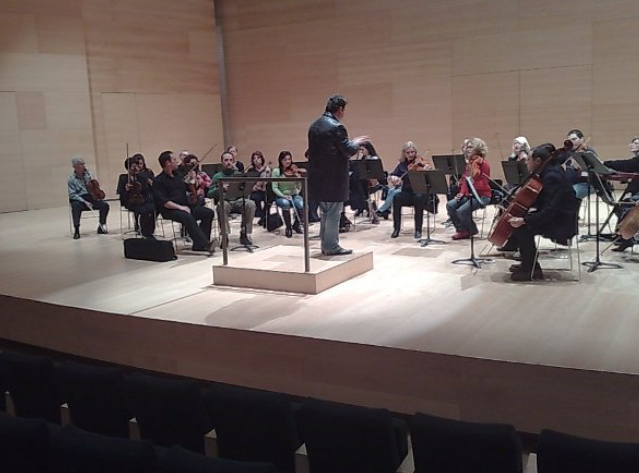 The concert on March 22 was an impressive achievement! 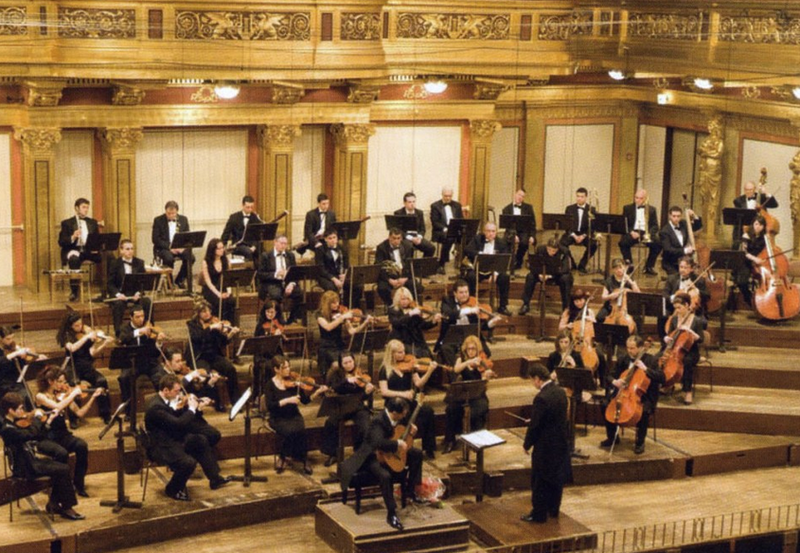 On February 24th, 2008 I had the pleasure to be at the Sofia Sinfonietta concert conducted by Svilen Simeonov in the Golden Hall of Musikverein, Vienna. 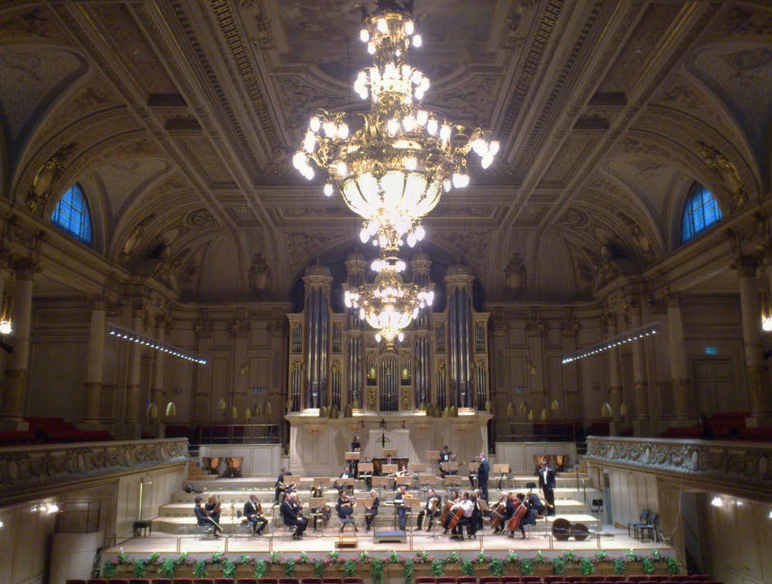 Performing in this highly prestigious European hall where great traditions have been maintained is, no doubt, a challenge which the musicians and their conductor faced, making the most of the opportunity to show themselves to their best advantage. The orchestral pieces, i.e. the overture to the Barbiere di Seviglia and a suite from Carmen, featured bright, virtuosic sound which was rich in nuances. As to the accompaniment in the guitar and orchestra compositions, with Rolando Saad from Argentine as soloist, the orchestra was perfect. The audience gave the musicians thunderous applause. 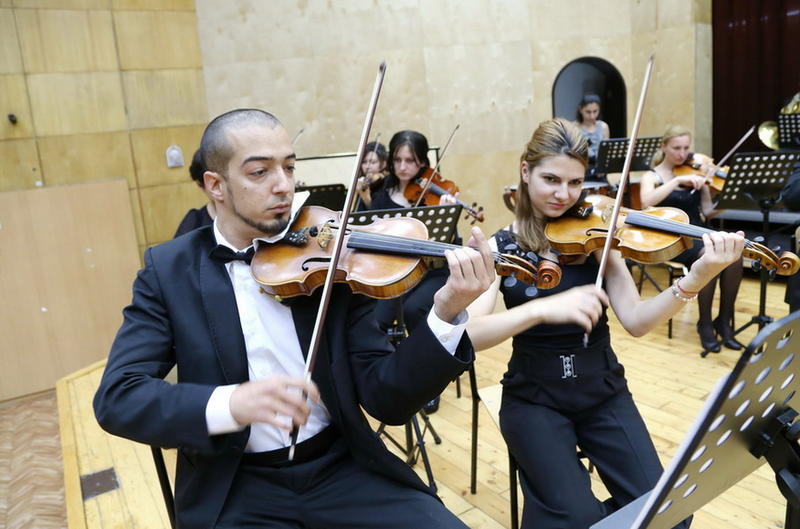 To express their gratitude Maestro Svilen Simeonov and his orchestra played two encores thus completely gaining the audience’s admiration“. „The great merit of the performance was the presentation of the composer’s colourful emotional world, achieved with creative vigour and energy. To express Europe’s great ideas in the turbulent early 19th century had been a strong inner necessity of the composer. So, he did it. For the orchestra’s friends and the friends of music, these were two hours of great excitement and overwhelming emotion. First the audience were taken to Wienerwald and then back to Redoutensaal in the expectation of a ball. 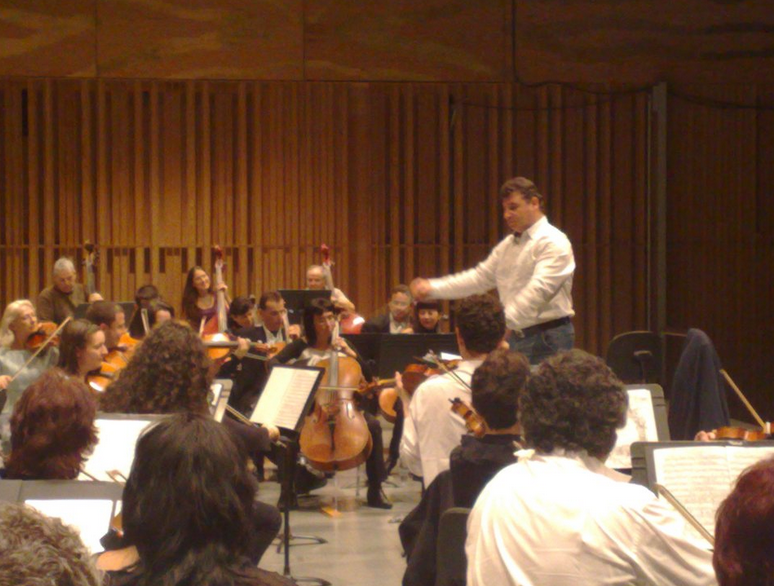 Svilen Simeonov was conducting the brilliant Sinfonietta in a buoyant mood while the musicians proved Beethoven’s vitality and spirit by their deeply expressive musical touch. The composer himself would have left the concert in good mood“. 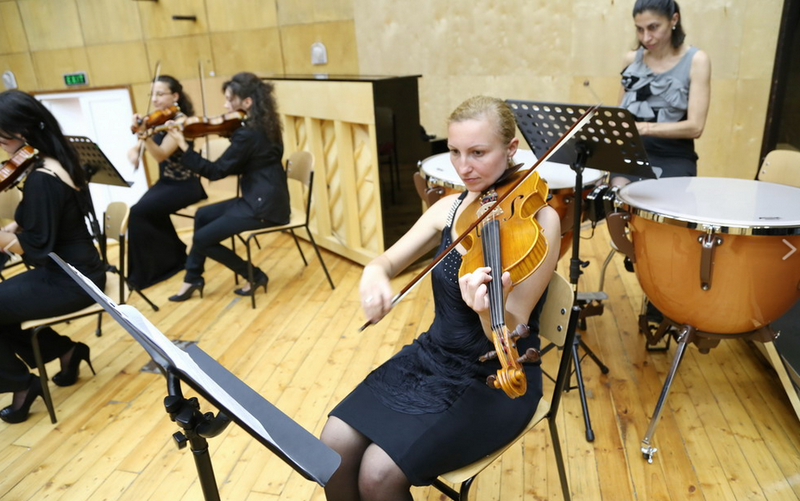 „The Sofia Sinfonietta accompaniment was subtle, balanced, and expressing a sense of composers’ ideas and style. The ensemble way of beautifully making music was impressive. 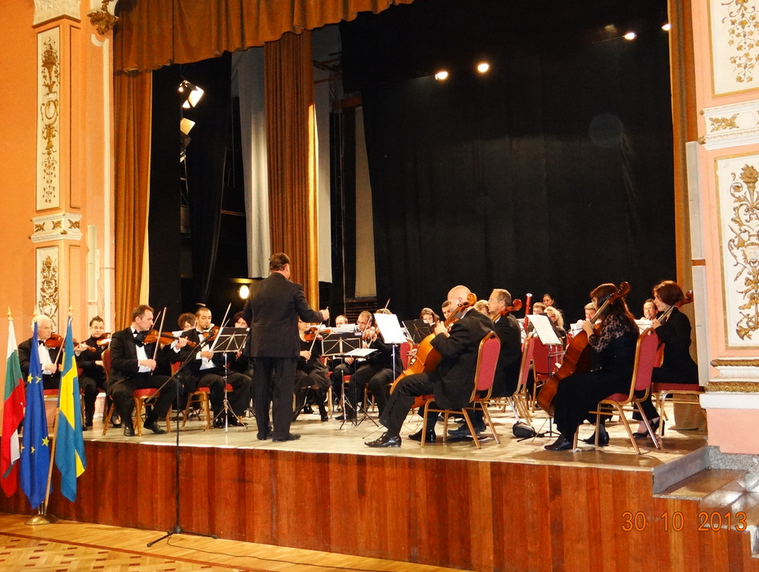 On October 1st the orchestra played with inspiration and enthusiasm, demonstrating its high professionalism thus turning the concert into a real celebration“. 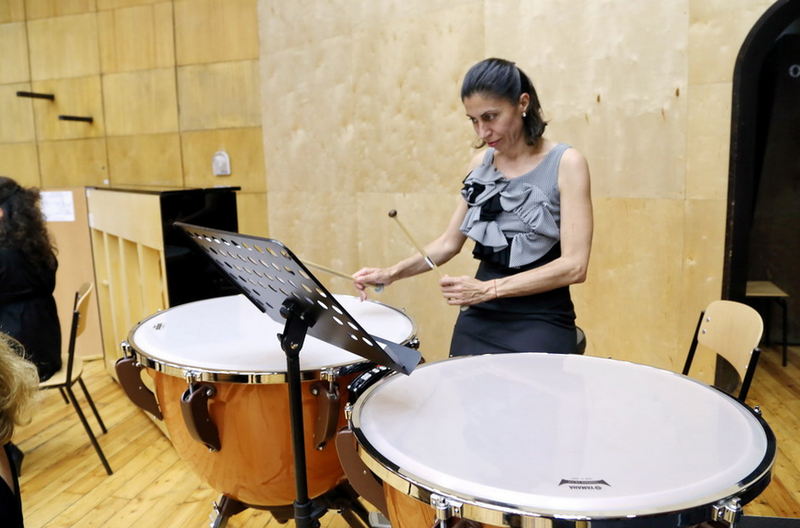 „The accompaniment was exact, responsive and flexible, reacting to the slightest tempo changes. The sound was soft and balanced. The wind solos were well played and culmination gradually reached“. 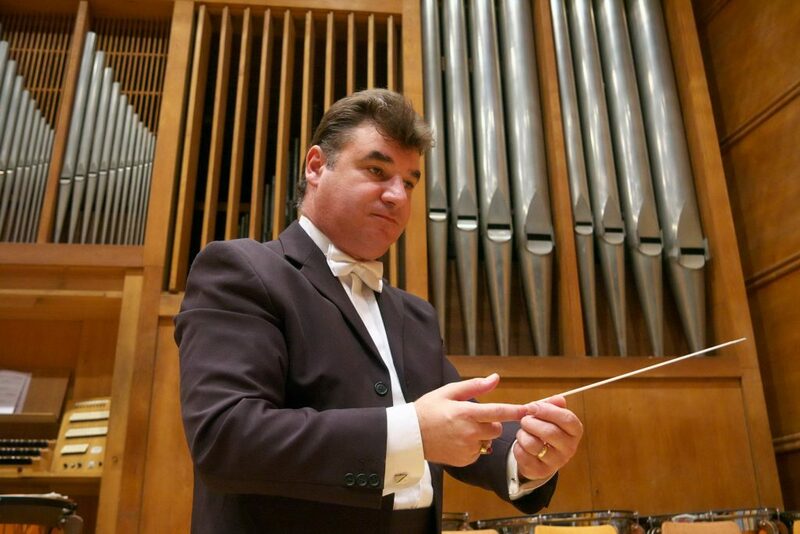 Svilen Simeonov has been Assistant Conductor of Operettenbuhne Heinz Helberg in Vienna, the Bankya Collegium Musicum, the Vidin Sinfonietta, the Sofia Amadeus and Teatro Lirico d’Europa orchestras. Besides, he has lectured at seminars and courses, and given master classes in Sofia, Seul – the Republic of Korea, Hanoi – Vietnam, Thessaloniki and Ptolemaida – Greece, and in Youngstown – the USA. 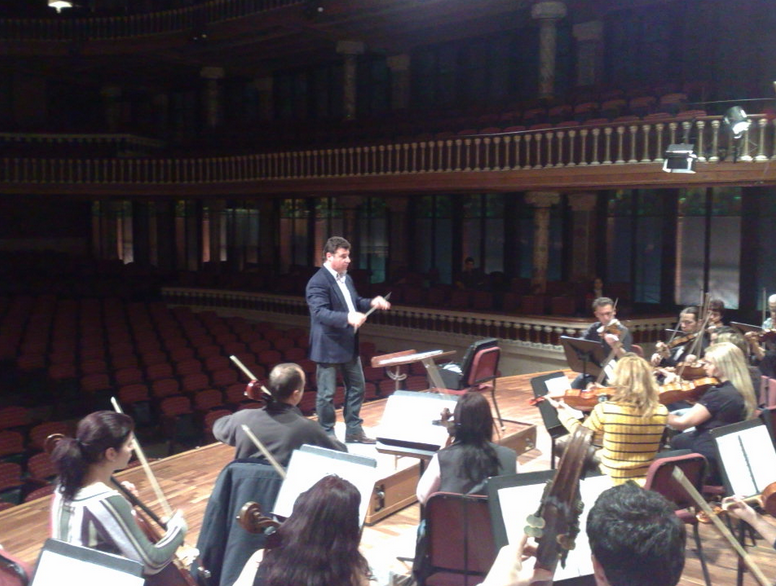 Svilen Simeonov has conducted in some of the most prestigious concert halls: Bulgaria Hall; Berliner Philharmonie; Victoria Hall, Geneva; Musikverein Golden Hall, Vienna; Concertgebouw, Brugges; Palau de la Musica Catalina, Barcelona; Teatro Auditorio, Cuenca; Auditorio Nacional de Musica, Madrid; Teatro Sociale di Mantova; Bilkent Hall, Ankara, etc. In the early and mid- 90s the CDs of Mozart’s concerts K.622 and K. 581 for clarinet (Gega New, GD 122), Carl Maria von Weber’s Concertos for Clarinet and Orchestra (Gega New, GD 127), performed by Svilen Simeonov (clarinet) with the Sofia Amadeus Orchestra, and the Sofia live concerts of the orchestra under the baton of Svilen Simeonov, became a fact for the general public. 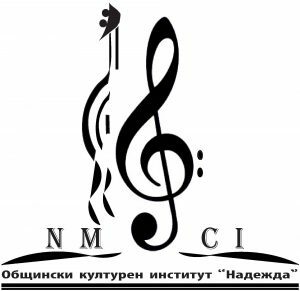 It was his accomplishments with the Sofia Amadeus at that time which made the musician and orchestra winners of the Musician of the Year 1999 Award presented by the Bulgarian National Radio listeners. 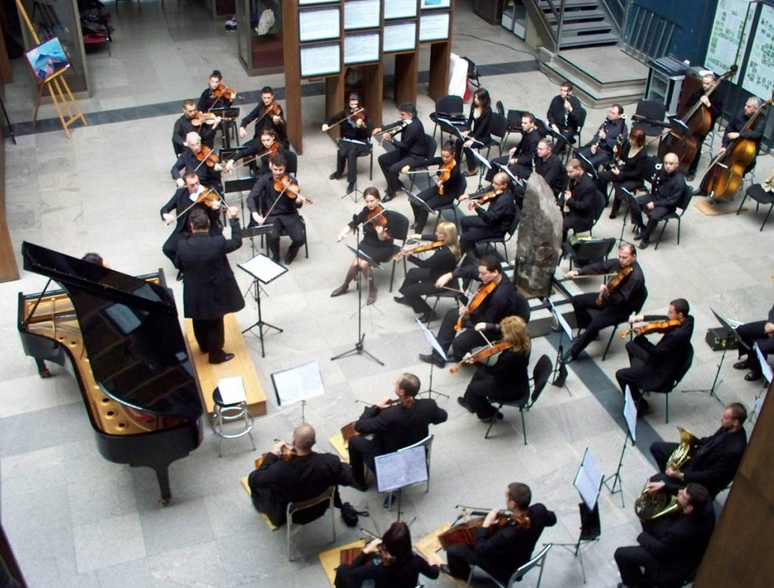 In 2008 Svilen Simeonov carried out his large project on Beethoven’s symphonies performed by the Sofia Sinfonietta. Later, in 2015 he took on the task of scoring some songs of ABBA, the world famous pop group. The arrangement was for symphony, jazz orchestra and solo singing, i.e. for the Sinfonietta, the Sofia Jazz Band and soloists. His pioneering initiative called ABBA Mania won the audiences hearts and enjoyed tremendous success in a number of Bulgarian towns. 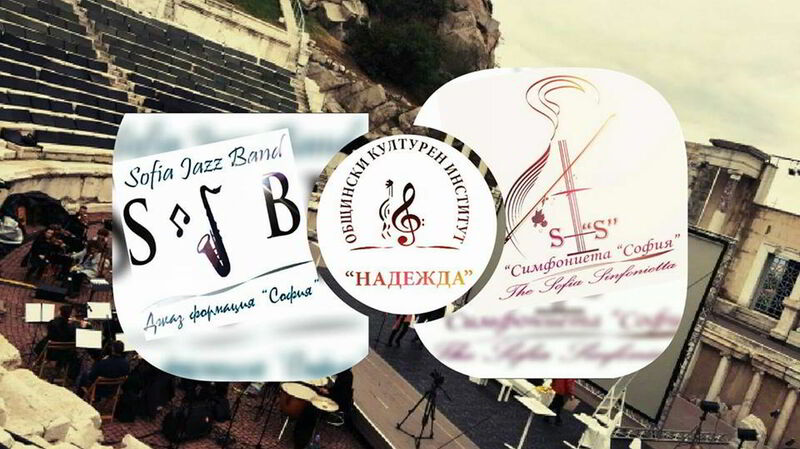 This inspired Svilen Simeonov to work on more projects together with the Sinfonietta and Sofia Jazz Band, which resulted in the Rock Symohony and Queen Topia performances.